If you are a band or an artist, I hope you are still not JUST using MySpace music to get the word out. There are so many options to spread the word, but in my opinion, SoundCloud.com is one of the best! I totally feel like I was one of the first to discover SoundCloud. I was smitten from the get go, and I signed up right away and began uploading my stuff, and re-sharing it everywhere else! You don't have to tell me that I am wrong about discovering one of the greatest sites to receive, send, collaborate on music on the interwebs today. After recently celebrating their millionth user, the word must be out! Congrats guys! Since I love SoundCloud, I will often troll it looking for talent to share with our readers. I recently found a mash-up/remixer/DJ extraordinaire that I couldn't wait to tell you about! Andrew James Bowers, aka DJ Dain, is only 22 years old but has quite a musical resume. 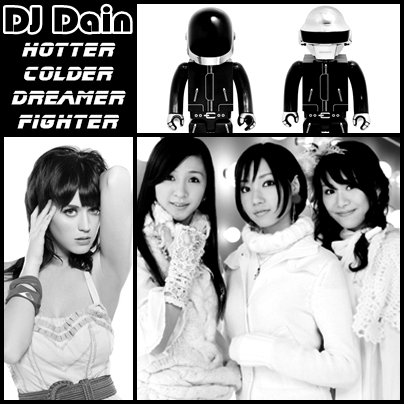 From composer to remixer, Dain is an award-winning artist specializing in DnB, Trip-Hop, and Mash-ups. He mixes up this creativity at DJ gigs to get the crowds crazy! If you got a party that you want to go off, I suggest you book him now while he's still relatively cheap to get...His rate, with his popularity, are sure to sky rocket! inALLcaps: What was your favorite gig to date? DJ Dain: It's quite difficult for me to pick a favorite gig because every party has its own unique energy. I have special memories of certain performances. 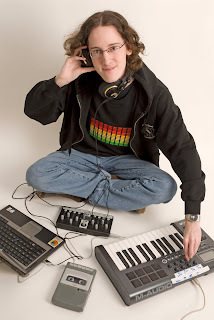 For example, there was the first time I was invited to perform along side DJ Mikey, Mr. Low and a few other established disc-jockeys from St. John's, or the time my friends MD and "That Mexican DJ" tried to host our first EDM show at the GCSU Backlot in Corner Brook. However, I've come to enjoy playing house parties a bit more than paid gigs. I usually know the crowds better and I have much more freedom to play anything I want and have a really fun time. In terms of favorite gigs where I've been in the audience, seeing Daft Punk in Toronto for the their Alive 2007 tour is still at the top of my list. I was not prepared for the level of positive energy in that crowd. That experience changed my life and my relationship to music. Considering how Daft Punk incorporated material from all three of their studio albums, I would say that performance was what first got me seriously thinking about mash-ups. IAC: What inspires you to make these mash-ups? DJ Dain: Usually I'll stumble across a song either in my collection or on the radio and just "hear" other songs in my head that match with it. 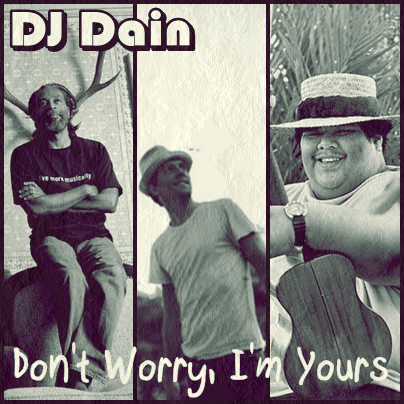 For example, with the "Don't Worry, I'm Yours" mash-up, I had heard Jason Mraz' "I'm Yours" on the radio countless times and just started singing Bobby McFerrin's "Don't Worry, Be Happy" over it. The same thing happened when I was listening to the instrumental of Perfume's "Dream Fighter" - I just starting singing Katy Perry's "Hot 'n' Cold" to myself. When I'm really lucky, the right songs will just float up to the forefront of my mind and "click" together. Unfortunately for some of my friends and loved ones, this can be really annoying for them if they're trying to listen to the radio while I'm also in the car. IAC: Kaze No Ne and Lucky Channel are original work? Are these for a Video Game project? Can you tell us more about that? DJ Dain: My remixes of "Kaze No Ne" and "Lucky Channel" were produced a few years ago for my own amusement. I used to be an active member of VGmix before the website went down temporarily, and I had a number of video game remixes released through there. The only video game remix project I've participated in was the Cave Story Remix Project. I made a remix of "Last Battle" which is a track associated with the secret/ultimate ending from the game. That remix became something of an underground hit within certain circles. I had a lot of fun working with all the other talented remixers on that project. One of my favorite moments was when we were informed that the creator of Cave Story had discovered our work and was very impressed with us! That kind of recognition and appreciation is special to me. I also had something of an underground hit with my "Long Train Ride" remix of "Triage at Dawn" - a track composed by Kelly Baily for the video game "Half-Life 2". It was mainly shared within the gaming community, and only through the help of a fan did I discover that it was eventually featured in a "PC Gamer UK" article. There's still some confusion out there about the origin of the remix. From what I've heard, some have mistaken it for a song from the beta version of Half-Life 2, while others speak of another individual who tried to claim the remix as their own under the title of "Path of the Borealis". Unfortunately at this point I don't think I could correct the level of misinformation about the track. IAC: What makes you happy? DJ Dain: More than anything right now, being able to share my success and experiences with the woman I love is real happiness to me. I've been extremely fortunate with all the opportunities I've been offered, but I've also worked very hard to achieve my goals. More specifically, one of the best feelings in the world is when I'm performing. When I'm able to build tension and and release it into a wealth of positive energy - getting the crowd singing along, clapping, smiling, and having a great time - it's euphoric. The experience is both spiritual, sensual and even sexual. Performing as a disc-jockey is a lot like trying to make love to everyone on the dance-floor. Everybody has their own needs and desires, so you have to be very observant and watch your pacing and timing - knowing just when to change things up and try something new. Obviously you can't please everybody, and it's easy to get discouraged when things go awry, but that's really the only way I'll learn - so I have to have fun with it! If I clear out a dance-floor, I try to see it as an opportunity to start fresh and rebuild - like a new canvas to paint on. Whatever I do in life, it's important that I enjoy the processes - the journey - as much if not more than the reward at the end. When the work is it's own reward, it's not really work anymore. When you get right down to it - it's sharing that makes me happy. I think sharing is a very natural, important part of life, and a human right that should be protected. Sharing information, ideas, feelings experiences and culture - all of it - that's how we all learn, grow and bond with each other. I think we would all get along better if we embraced more systems that encouraged us to share. IAC: Do you like it Hot or Cold? DJ Dain: Too long in either extreme makes me uncomfortable. I enjoy playing with both dynamics - you can't really appreciate one without experiencing the other. IAC: Are you a Dreamer or a Fighter? 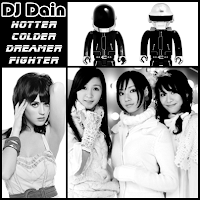 DJ Dain: I've been a dreamer for a long time, but I've reached a turning point where I'm ready to fight for those dreams and make them my reality. I'm learning to recognize and understand what's important to me - cutting out the bad and fighting to keep what's good in my life. Hot Fire Tracks! Having a BBQ/Party today for the 3 day holiday? Throw those MF'ers on the boombox, drink a cold one and enjoy your day off! P.S. I risk immolation from the girlfriend for posting yet another Katy Perry anything on the site. So really...this might have to be the last one. It's really good...worth being lit on fire to share this one with you! So thank me or flame me in the comments...just be sure to tell me your home remedies for 3rd degree burns.